Here is another little Flash-game from us: Minubeat. Click on the image to play now! See you again in 2009 for BDTUW and other releases from Lo-Fi Minds! We're still working hard on BDTUW, but as we decided to give it a bit of a facelift the development process has slowed down a bit. We have few other games in progress as well. Hopefully something worthwhile will be released before the end of the year. Here is a little Flash-game we've made: xWUNG. Click on the image to play now! Here's a new gameplay video that shows some of the progress that has been made in the development of Brain-Damaged Toon Underworld. 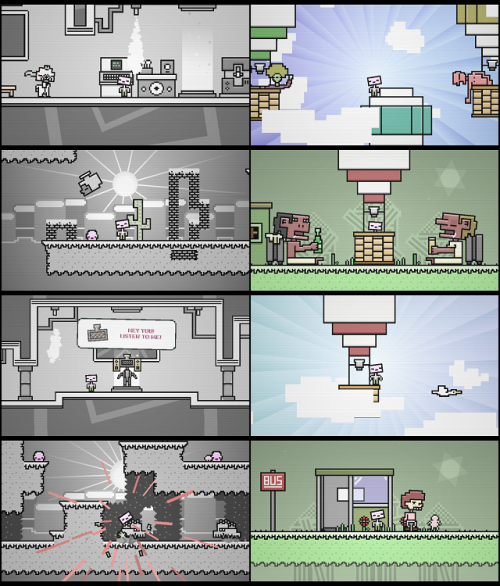 The game will be available in HD resolution, and has therefore gotten a new resolution and aspect ratio.